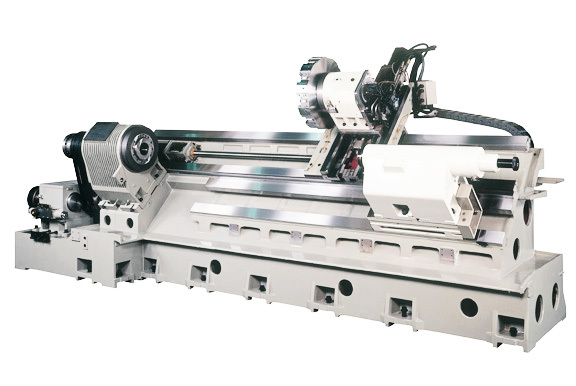 Heavy cutting lathe with spindle nose A2-11 for turning length from 1250mm to 4250mm. Bar capacity 91mm, Spindle speed 2500rpm. Single piece cast slant bed (45-degree) for minimum distance from ball screw to the tool tip. 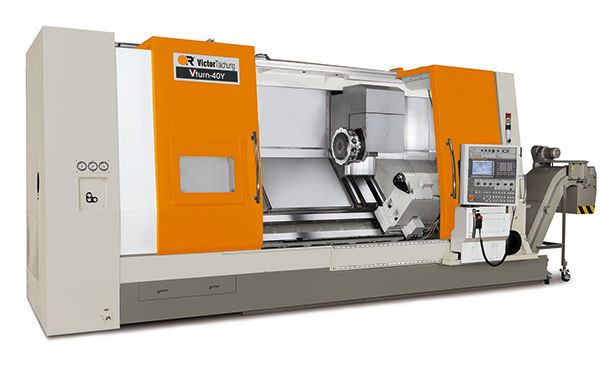 Y-axis & C-axis applications available with built-in spindle for contour milling.